By C. M. - 2002. Updated 2008. 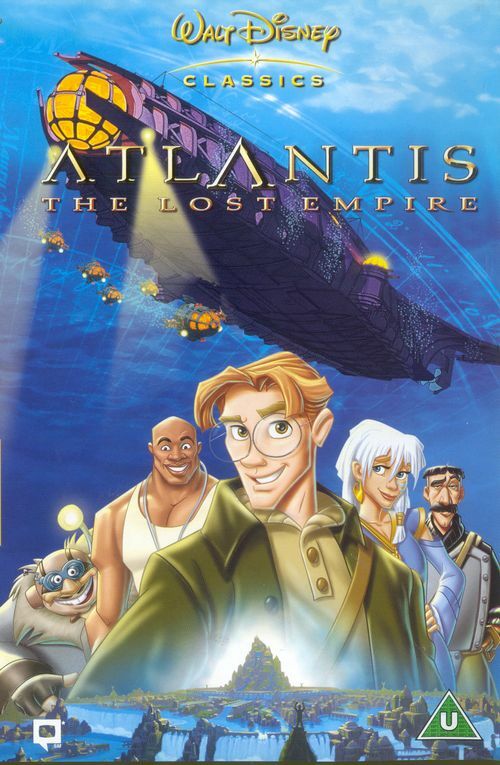 We have Disneyified and commodified Atlantis for the sake of profits. The myth has become so distorted with fictional nonsense that many people have ignored the origins of the Atlantis Myth, which is not actually a Greek legend. It is an Egyptian one. The ancient Egyptian word for Atlantis, Aten or Atlen, is almost identical to the Hebrew word for Eden, which lends to the belief that we're not just searching for Atlantis, we are also searching for the legendary Eden. The origin of the Atlantis myth is Egypt, not Greece, but the myth is found in many religions around the world, frequently combined with the Great Flood myth. The fact that the Israelites came from Egypt originally suggests they gained the Eden myth from an Egyptian source. It is the lost paradise of ancient lore, and therefore if a person has any chance of locating Atlantis or Eden, its best to use all the resources available: Myth, Bible, Oceanography, Linguistics, and especially Geology which provides the most concrete evidence of all. The different sources are displayed below. Atlantis was destroyed around 9650 BC, according to Plato via Solon via the Priests of Sais. 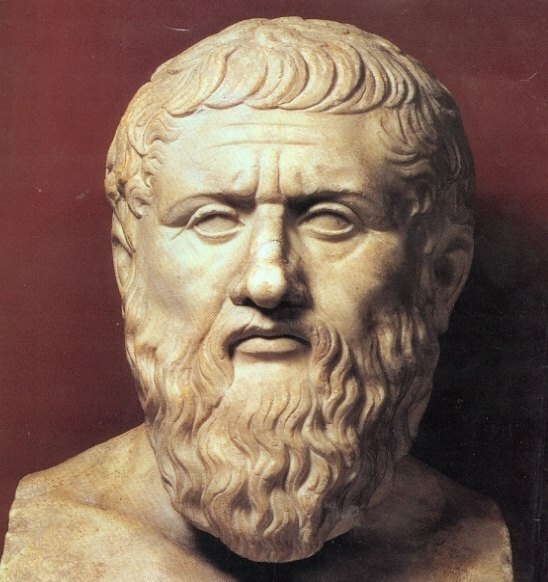 Plato is the key source, who recorded the tale in two of his books (Timaeus and Critias) told to him by his grandfather Solon. Solon had travelled to Egypt circa 560 BC and learned the tale from a group of Egyptian Priests at Sais, which they obtained from ancient tablets and writings on columns within Egypt. "In those far-away days that Ocean could be navigated, as there was an island outside the channel which your countrymen tell me you call the 'pillars of Heracles'. This island was larger than Libya and Asia together, and from it seafarers, in those times, could make their way to the others, and thence to the whole opposite continent, which encircles the true outer Ocean. (The waters within the channel just mentioned are manifestly a basin with a narrow entrance; what lies beyond it is the real Ocean, and it is land enclosing that Ocean which should rightly be called a Continent.)" 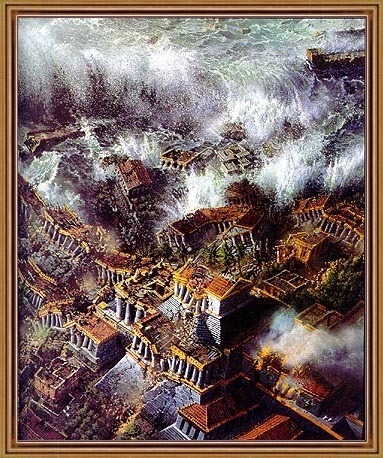 Plato described Atlantis as being ruled by ten kings before its demise. In Egyptian mythology states there was originally 10 god-kings, who ruled in a foreign country. They were called Auriteans, but the actual pronunciation is unsure because hieroglyphs only approximate real sounds. The Phoenician historian Sanchuniathon (1193 BC) calls the same kings "Aleteans". Note this is 600 years before Plato was even born. These same god-kings could be compared to various gods in Greek mythology (there are a lot of similarities between Egyptian, Greek and even Norse mythology). Ancient texts (there are numerous versions of them in Egypt, Greece and Mesopotamia) refer to the 10 god-kings, and also list their replacements, which occurred at approximately 9850 BC. Some of the Egyptian texts also had maps of Atlantis, including its round capital city. Athanasius Kircher (Jesuit priest, 1601-1680)’s 1665 map is based upon an older Egyptian version of the map, but also includes parts of North America in order to provide a better idea of the location. 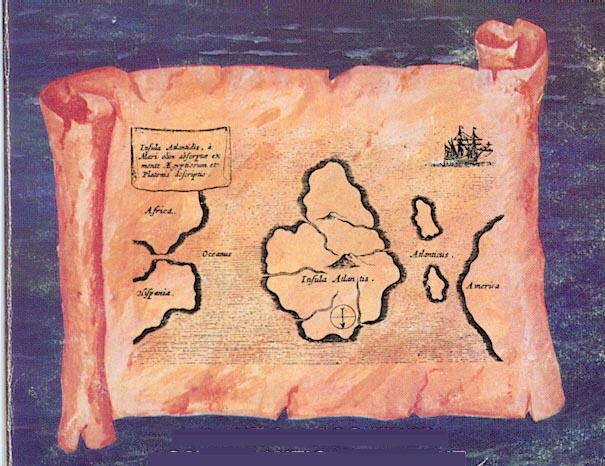 Various other reproductions of the map also exist. Note: Maps made during this period faced towards the sun, not North. The Greek Manetho translated the Egyptian king lists in 250 BC. Other direct sources are the king-list in the temple of Osiris at Abydos, the Palermo Stone (a Fifth Dynasty document) and the Turin Papyrus (a 19th Dynasty document). After telling us that the total number of years covered by all the king-lists equals 36,525 (which, incidentally, agrees precisely with the period of Cro-Magnon Man), he continues: "the first series of princes was that of the Auritae (or the Aletae according to Sanchuniathon)." He calls this the rule of demi-gods. He follows this with a list of the Reigns of the Gods, starting with Ptah and Ra, and ending with Horus. The list gives the comparable Greek gods/titans, Hephaestus and Helius, and ending again with Horus (a minor Greek deity. King Horus apparently ruled both Egypt and Greece at one point). Manetho is very careful to point out that the first kings did not rule Egypt, but a foreign country. Egypt was originally either a colony or a conquered nation. HORUS. . . . . .
THOTH. . . . . .
MA . . . . . . . . .
King Thoth is credited with inventing writing, wrote numerous books, and supposedly ruled on an “Island of Flame to the west”. The Book of the Dead contains some of his writing. The old Egyptian word for Cronos is “Seb”, which later became called Repha. This name appears in the Old Testament (Amos 5:26 and also Acts 7:43) as Rephan or Raiphan. The Hebrew word for giants/titans is Repha-im. In Greek myths, the Titans are the sons of Cronos. In Greek myths, Zeus fought against Cronos and defeated the titans by throwing a ball of fire out of the sky. It burnt the land and boiled the sea. Upon Cronos defeat, Zeus imprisoned him at the bottom of the Ocean in Tartaros. According to Homer in 850 BC, Tartaros was located west of Gibraltar, under the Atlantic Ocean. Plato describes the Atlanteans as being noble in the beginning, but becoming greedy, materialistic and warlike. Cronos had introduced law, cities and agriculture to the land. Zeus was Cronos’ son and was hidden on the Island of Crete, and eventually grew up to defeat him. He fought his father for ten years before being given “large bolts of lightning” that could shake the land itself and destroy whole cities. According to Plato, the Atlanteans had their god-like appearances from Poseidon, who fell in love with Cleito, and built her a palace in Atlantis on a hill. They had 5 sets of twins, for which the eldest was called Atlas, and thus the name of the island/continent. Note: We can forgive Plato and his grandfather for adding some artistic license to their version of the story. 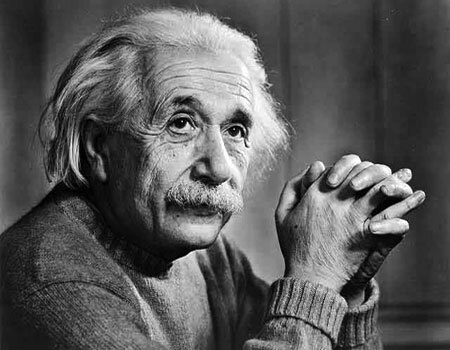 Albert Einstein also studied Atlantis during the early 1950s, but died in 1955. He was interested in finding solid "geological and paleontological facts” that supported if and where Atlantis had been. His research was done as collaboration with Charles Hapgood. Einstein wrote the forward for Hapgood’s book “EARTH'S SHIFTING CRUST: A KEY TO SOME BASIC PROBLEMS OF EARTH SCIENCE” (published in 1958 by Pantheon Books, New York). In Hindu legends an island of gods was destroyed during a war between the gods and the Asuras (giant people). Which is very similar to the greek myth of the gods Vs the Titans. Vishnu Purana (2000 B.C. ), a sanskrit text, speaks of Atala, the "White Island," which speaks of its geographically location, which when translated is roughly 24-28 degrees North latitude. There is no longitude translation. Mahabharata tells of a horrendous war that sunk Atala. It is also called the White Island in this text. It describes it as an "island of great splendour" in the western ocean. It is also describes Tripura, a circular shaped capital city, which was destroyed by being “burnt until it sank into the ocean”. 35000 BC was the appearance of the first Cro-Magnon man (larger brained, uses tools) in western Africa and western Europe. There are 4 stages of increasingly more intelligent Cro-Magnon peoples appearing in western/northern Africa, and fanning out from that location. Anthropologists also find 4 stages of remains/tools in the Azores and other Atlantic islands. One of the ways of determining intelligence is by measuring the brain size in c.c. The largest Cro-Magnon skull contained 1743 c.c. These first stages of Cro-Magnon are sometimes called “Paleo-Atlantic”. The last stage was the largest, occurring around 10,000 BC, and introduced the most modern cro-magnon’s which would later become the basis of modern mankind. The stages and their locations suggest that they may have been people migrating from Atlantis. 10,000 BC is also the end of the last Ice Age, which had a record number of earthquakes according to geologists, various extinctions and geomagnetic disturbances which caused the poles to move. The melting of the glaciers during that time period caused massive flooding. 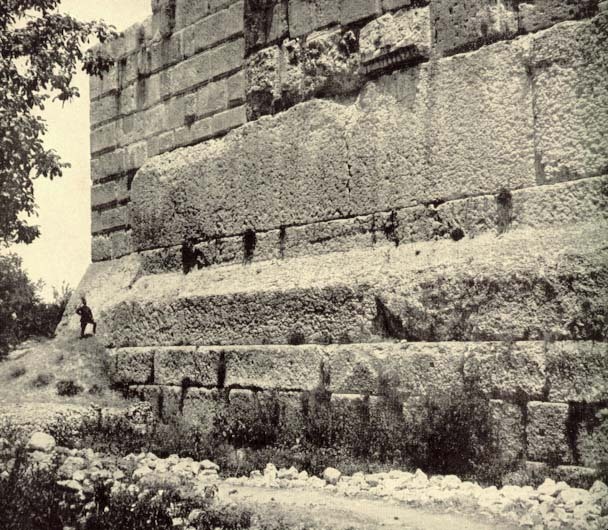 The Baalbek Acropolis in Beirut Lebanon contains three huge stone that are 70 x 14 x 12 feet in size. They weigh approximately 1000 tons each. The quarry was in a distant valley and were moved uphill to their position. A fourth stone, weighing 1400 tons is still in the quarry. The building was never finished and the Romans later built a temple on top of it. It was built around 10,000 to 12,000 BC. The Sphinx is suggested by geologists to have been built around 10,500 BC, by non-Egyptians. The reasoning is that the Sphinx/Lion is not an important part of Egyptian mythology (but is commonly found in Greek mythology). It has been covered by sand for most of its history until it was escavated in the early 1900s. Horizontal lines on the Sphinx are the result of water erosion, possibly a flood. Egyptoligists disagree, despite geological evidence to the contrary. The head of the Sphinx is also dated differently, has no horizontal erosion, and is disproportionate to the body, suggesting that since its lower torso was under sand, that a Pharoah had the original lion’s head carved down so that it would look like him. The Great Pyramid of Gizeh, the largest, oldest and most perfect one (it is astrologically aligned like a compass) does not actually contain any human remains. Neither do any of the other ‘less perfect’ pyramids, which were poorly constructed in contrast. All the human remains that have been found are in the Valley of the Kings. There is a debate going on currently about whether the pyramids were really temples and palaces (much like the pyramids of the Mayans). Gizeh is also interesting because it is the only one without any inscriptions (with the exceptions of later writings that was written long after it was built). A variation in Egyptian mythology says that the Age of the Gods which ended around 10,000 BC because of a gigantic flood. Geological surveys show there is a 14-foot deep layer of silt sediment dating from that period of time, the result of a major flood. Before the Arabs stole the outer casing stones of the pyramid, legends and records tell that there were water erosion marks halfway up the pyramid (about 400 feet above the Nile). This would definitely go over the top of the entire Sphinx. When the Great Pyramid was first opened, they found halfway down inside a crustation of salt/minerals over an inch thick. The salt/minerals is consistent with that found in seawater. The other two pyramids also had salt. The smallest of the three was completely submerged under the water and likewise was filled with salt. The three pyramids are supposedly astronomically aligned with the constellation of Orion’s belt (or Osiris). Osiris is the Egyptian equivalent of Christ (they were both sons of gods and they were both resurrected). Tiahuanacu, a city in Bolivia, is 12,500 feet above sea level. The explorer/engineer Arthur Posnansky was the first European to explore it and dated its building approximately 15,000 BC. The city is a port city, complete with stone piers and warfs. The surrounding area is covered with millions of sea-shells and fossilized sea flora. An inland sea, Lake Titicaca, 15 miles from the city (and 12,400 feet above sea level), contains oceanic creatures such as sharks, telling that the ocean had not only once reached this height, but sharks and other ocean creatures have continued to live there. The port itself has numerous large carved stones, weighing between 100 and 200 tons. The largest is 440 tons. The rocks however have been knocked off their foundations, suggesting a huge earthquake. Some of the rocks are held together by huge rivets of copper and silver which were poured into place. (A similar technique was used in Egypt’s Elephantine Island in the middle of the Nile.) Also of interesting note, geologists have determined that many of the blocks came from quarries 200 miles away. 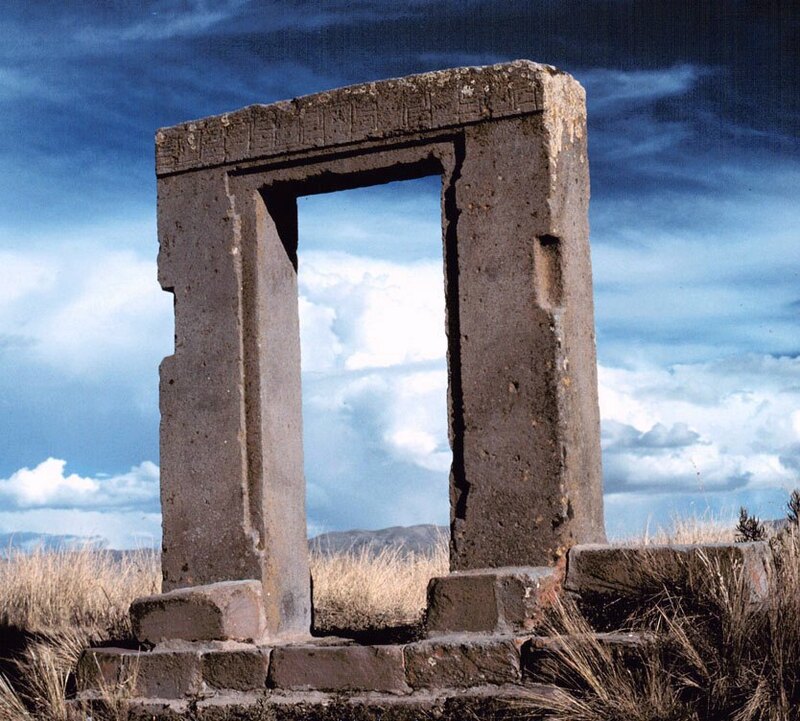 A 10-ton gateway to the temple nearby was carved from a single rock and has elephants and toxodons carved into it. The toxodon is a large grazing creature that resembles a hippo with a longer neck. Both it and the south american elephant (Cuverionius) have been extinct since 11,000 to 12,000 BC. The images of the elephant and toxodon are commonly found in the city, ranging from pottery to textiles. All of the ruins are covered with a layer of lime deposits, showing that it had once been underwater. Much of the ruins is also buried beneath a layer of silt sediments, showing it was under the sea for a fair amount of time. Professor Posnansky immediately thought of the Biblical flood, and thus searched for ways to date it (carbon dating was not around before 1945 when he finally published his book about the city). He determined the date by using the compass in the temple, which was slightly off, and determining what the constellations would have been like thousands of years ago (archeoastronomy) finally came up with an approximate date of 15,000 BC. Other professors and astronomers have verified the accuracy of his conclusions. Carbon dating indicates that the city was later re-inhabited around 200 A.D., and that the figures already present in the city became to be reverred as gods. Carbon dating for the older rocks have numbers that vastly differs due to volcanic activity in the area during the 10,000 to 15,000 BC period. 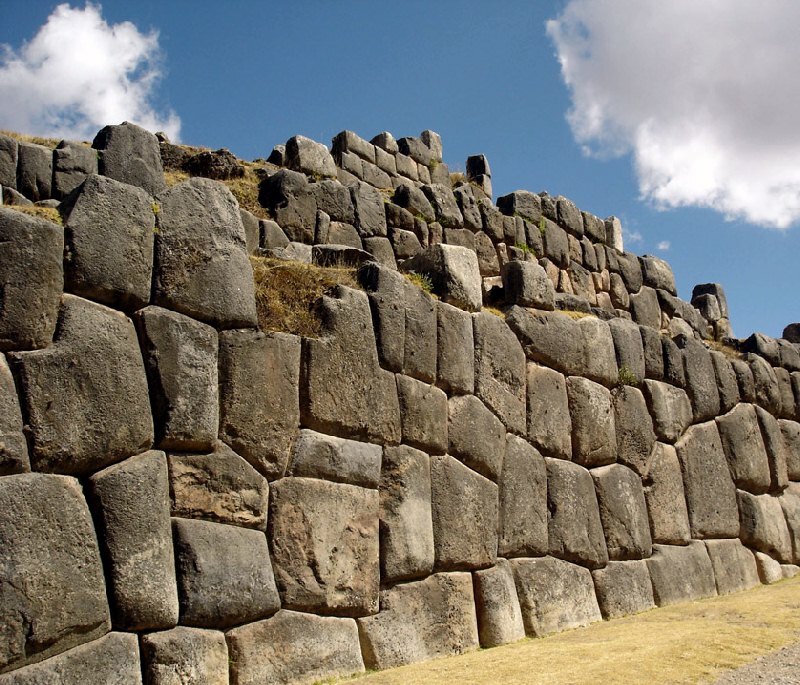 The Inca capital of Cuzco, Peru is the home of the Sacsahuaman ruins. Most of the stones are 2 to 3 tons, but the bulk of the area is stones weighing about 100 tons. The largest is 300 tons. The walls are earthquake-proof due to their polygonal (they have 32 sides) style of construction. Despite the complex cutting, the stones are cut so perfectly and fit together so perfectly that not even a razor blade can be slid between their cracks. The rocks would have to be rolled and carved on every side to perfection before being laid, and if there was a single imperfection it would not fit. Placing a 100 ton rock and then having to take it back out to fix is near impossible. Modern engineering and laser technology would still have headaches and inaccuracy. The ruins pre-date the Inca city which was built around it. Lixus (Morocco, North Africa) also has 32-sided rocks inside its earthquake proof walls and incorporates stones that are 100+ tons. Other Ruins/Monoliths: Malta Island, megalithic ruins with "ruts" going into the sea. Various Aegean Island underwater ruins (Mediterranean Sea). The Maldive Island underwater ruins (Indian Ocean). The Bahamas, underwater ruins (Atlantic Ocean). Carnac menhirs in Brittany running into the Atlantic Ocean. Stone Henge, England. Due to the carbon dating of ocean sediments we can conclude that the continents were originally attached. Most of the continental plates are made from silicon-aluninum, but the area where Atlantis was (according to samples from the sea floor) is also made of silicon-magnesium, which is both highly unstable and heavy. Magnesium is also highly combustible and one of the few metals that can burn underwater. Geologists have suggested that Atlantis has frequently rose and sunk numerous times in the last 3 million years (the Pleistocene Epoch, which ended circa 10,000 BC). The Mid-Atlantic Ridge is one of the most active underwater volcanic areas in the world. Dr. Ewing, a professor, headed an oceanography expedition in 1948. He was actually an opponent of Atlantis, but in spite of himself ended up mapping much of the sea floor around where Atlantis supposedly was and found that the ocean floor had mountainous areas and ‘beaches’ in the areas, and the same shape, as the 1665 map by Kircher. Subsequent expeditions only add more details to this. Ewing cautiously, and trying not to be hypocritical of his previous stances, suggested that Atlantis may well have existed as a continent. The 1949 expedition determined the ages of the sandy beaches. One group of older sand dates 225,000-325,000 years ago, while a 2nd newer batch of sand dates 20,000 to 100,000 years ago. This suggests that Atlantis has rose and sunk at least twice before. The time frames are the same as the last two ice ages. The pear shaped area of Atlantis would be roughly the size of Spain when fully uncovered. Samples taken from the Mid-Atlantic ridge have found fossils of small lake animals (diatoms), fresh water creatures, in addition to fossils of land plants. There are six terrace levels of beaches, suggesting that Atlantis changed its shape and size at least six times, becoming smaller and smaller until it disappeared quite suddenly. The shrinking island could have resulted in an exodus of people to land that was more stable. 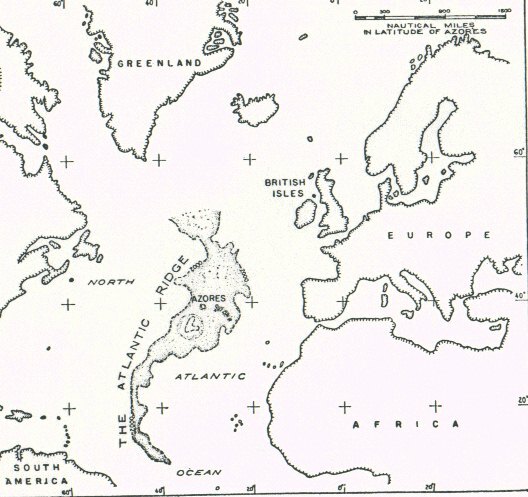 Even the United States Navy once searched for Atlantis, believing the oceanography could be useful for nuclear submarines operating near the Mid-Atlantic Ridge. It has been suggested by linguistics that a nomadic Cro-Magnon society existed all the way from Morocco to the British Isles (which explains Stone Henge, similar sites in France, the caves near Basque, and Lixus). Both anthropologists and linguists agree that Basque is descended from a Cro-Magnon language. Interesting notes: The Basque word for knife means “stone that cuts” and the word for ceiling means “top of cavern”. Basque is also a mystery in terms of its alien styles of vocabulary, syntax and grammatical structure. While the meanings and definitions of words are considered to be primitive, the actual syntax is extremely complex and orderly. Both the Romans and Carthaginians recorded that Basque was originally very widespread. 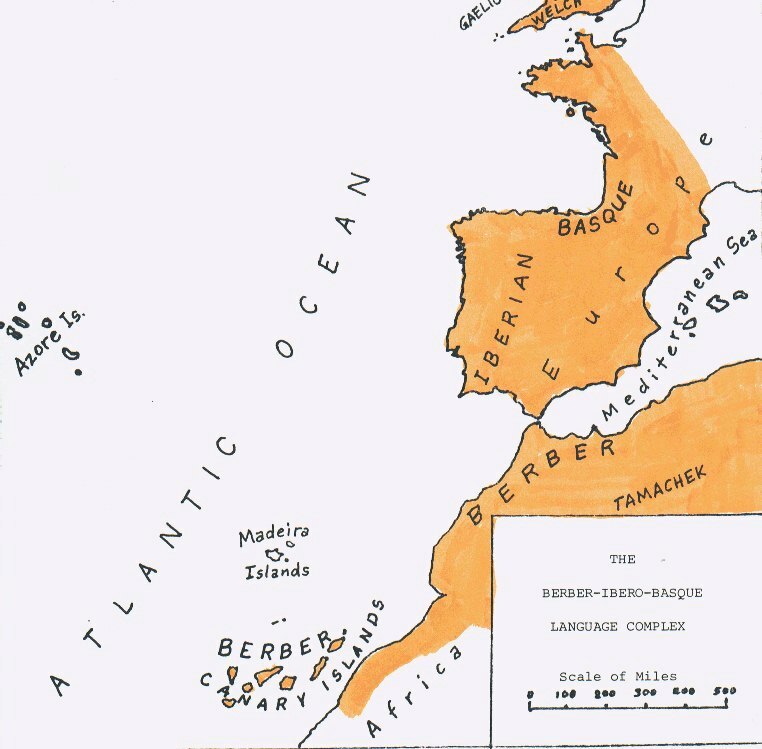 Berber left behind the Guanches of the Canary Islands, and Basque their unique European language. Prof. Johannes Friedrich, the leading linguist and expert on Berber claims the language has not changed in almost 2000 years. Its complexity assures that. The extinct Iberian language (found only on tablets) is related to modern Basque, and is suggested to be either an earlier version of Basque, or a language spoken by one of the earlier stages of Cro-Magnon man. Welsh, Erse & Gaelic use the same complicated syntax that Basque does. The people living in the British Isles used that language long before the Kelts arrived in 1800 BC. Welsh is peculiar in that it adopted Keltic words into its vocabulary, but maintained the syntax. It is suggested that Pre-Keltic Welsh was identical to Basque. The Mayas continue to this day to speak their language, and to the surprise of a Basque missionary during the 1500s come to convert them, found that they spoke almost exactly the same language, with a slight difference in pronunciation. Over 200 species of animals became extinct between 10,000 and 20,000 BC. The period is known as the Pleistocene Extinction. Catastrophism vs uniformitarianism, or gradualism (three theories that get various people arguing)... while all three are actually active in nature. It is possible that evolution could not cope with the vast changes over a period of several thousand years, or they could have been wiped out all at once. One of the indicators of a catastrophy at the end of the Pleistocene 12,000 years ago is the huge numbers of frozen carcasses in both eastern and western hemispheres, North America and Russia/Siberia. 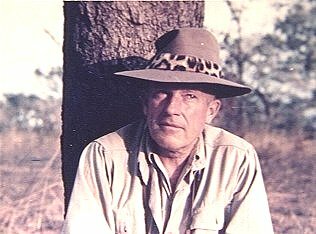 Back in middle 1940s Dr. Frank C. Hibben, Prof. of Archeology at the University of New Mexico mounted an expedition to Alaska to look for human remains. Instead he found gold, and massive amounts of mammoth, mastodon, several kinds of bison, horses, wolves, bears and lions, all trapped in ice and he ended up with their rotting carcasses. The ice sheet they were trapped in stretched for miles, with very little rock except below the thick layer of ice. He had concluded that an enormous tidal wave (a tsunami) had wiped out the creatures, along with trees and peat moss, and that they had floated in the ice dead until the ice itself had frozen completely. The ice had frozen relatively quickly. Other non-arctic creatures were affected: giant tortoises living in the Caribbean Sea, the giant sloth, the sabre-toothed tiger, the glyptodont and toxodon. These were all tropical animals. With the exception of the tortoise, they all live on the ground however and need to breath air. Others: Woolly rhinoceros, giant armadillos, giant beavers, giant jaguars, ground sloths, antelopes, American camels, Asian elephants (Indian elephants came from the sub-continent of India). All died at roughly the same time, 10,000 BC. They were not slowly killed off. They were quickly killed off. It is also important to note that people should not confuse this with the extinction of the dinosaurs, which happened millions of years ago in contrast. Pleistocene geologist William R. Farrand of the Lamont-Doherty Geological Observatory, who is opposed to catastrophism in any form, states: "Sudden death is indicated by the robust condition of the animals and their full stomachs . . . the animals were robust and healthy when they died" (Farrand, 1961). It has been estimated that some ten million animals lay buried along the rivers of northern Siberia. 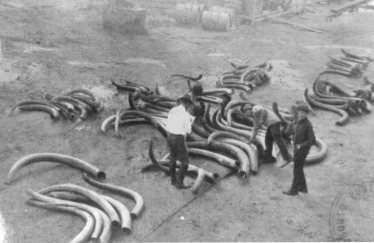 Thousands of tusks formed a massive ivory trade for the master carvers of China, all from the remains of the frozen mammoths and mastodons of Siberia. The famous Beresovka mammoth first drew attention to the preserving properties of being quick-frozen when buttercups were found in its mouth. This was no gradual event--it had to be sudden! Disneyification is one of the ways that has destroyed/created the mythology around Atlantis. Due to this mythification most people assume that Atlantis does not exist. Its just another myth like everything else the Greeks had. Except that the Greeks are not the only ones with such a “myth”. Indeed every single religion on Earth has some form of Great Flood story, which suggests that there really was some form of major disaster involving rising sea levels around the time that the glaciers melted. And if this semi-gradual flooding of Atlantis was what caused the four major exoduses of Cro-Magnon man, then we can assume that Atlantis was the birthplace of much of modern mankind. The origin of humans and much of pre-historical culture is something that plagues every person at some point in our lifetime: Where did we come from? It is as fundamental as our search for religion and meaning in life. Dr Ewing who was opposed to Atlantis searched for it despite the fact that he believed it did not exist. His oceanography and fossil finds however conclude that it not only existed, but also has actually sunk at least twice (due to the previous two ice ages). If we take for granted that Atlantis did exist, and that humanity originated from there, what does that mean to us? It throws a wrench into the mechanics of various religions for starters by questioning their myths but at the same time supporting the Great Flood myth. It changes how we look at other ancient societies, knowing that they had possibly originated from Atlantis and then somehow lost or forgot their technology. There was a loss of cultural and technological memory. It suggests that we may have had a higher state of technology 14,000 years ago and that we started over roughly 12,000 years ago. And judging by the timeline of Cro-Magnon man (36,000 years), it may take us another 20,000 years to reach the level of technology that was used to build the pyramids. It questions what around is actually permanent. Metals melt and rust away and can be salvaged and turned into other things. Glass breaks easily. Plastics slowly degrade. Bones, if not fossilized, also disappear. Wood rots. Stone is one of the few things that last, especially if they are too big to be moved by less technological cultures. What have we built in the last 2000 years that is actually permanent? The Great Wall of China is brick and will erode and fall apart. Steel buildings will rust away into nothing. The Hoover Dam (one of the few things that can be seen from space) is perhaps one of the few buildings that will actually still be here in 10,000 years. Fossils stay on the basis of becoming covered by sedimentary rock. The fossilized fresh water fish and land plants found in the Mid-Atlantis ridge for example. Actual bones are a rare find. The Greek and Indian myths suggesting a Great War which burned the land and boiled the sea seems almost Apocalyptic, like a nuclear war. Zeus’s lightning bolts sounds almost like nuclear missiles. We already know that a nuclear blast can destroy the memory of what was a city, leaving behind only a shell. It makes us wonder if we might do it again and again. Constantly destroying our places and the memories that are attached to those places, only to start over.